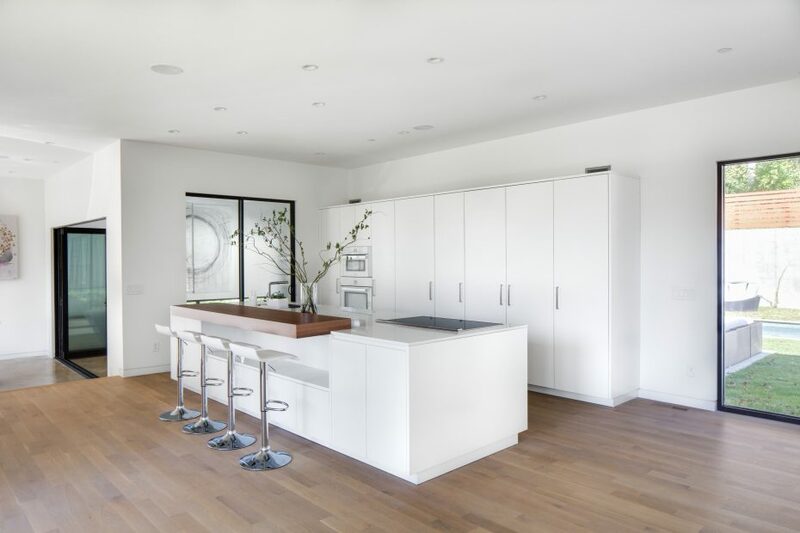 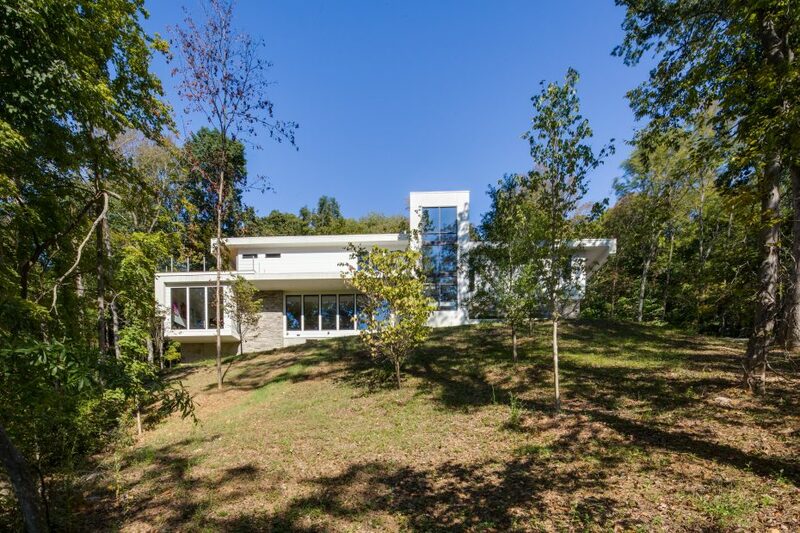 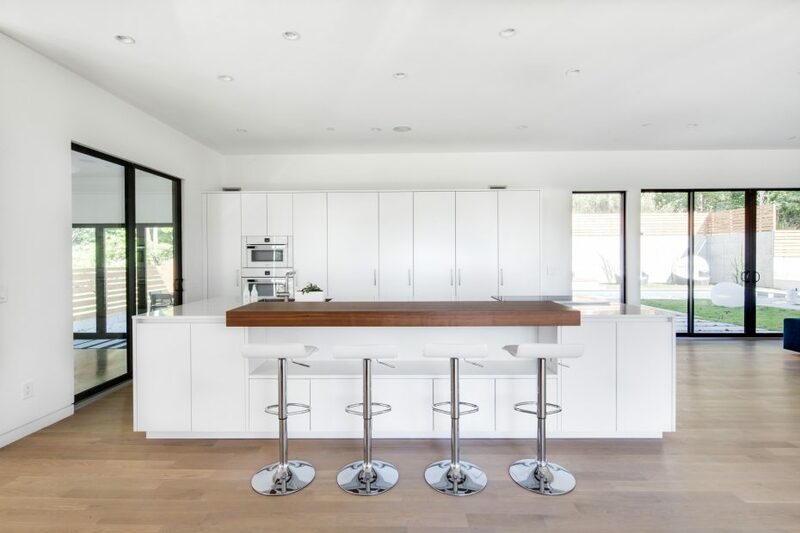 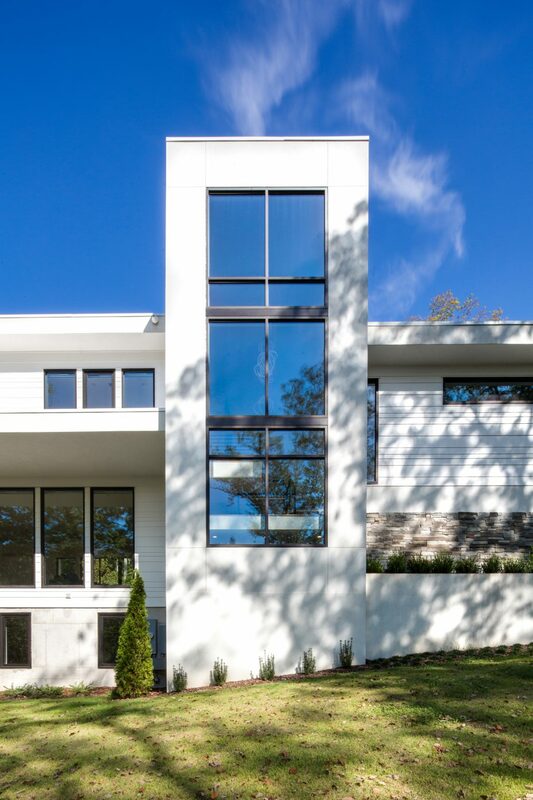 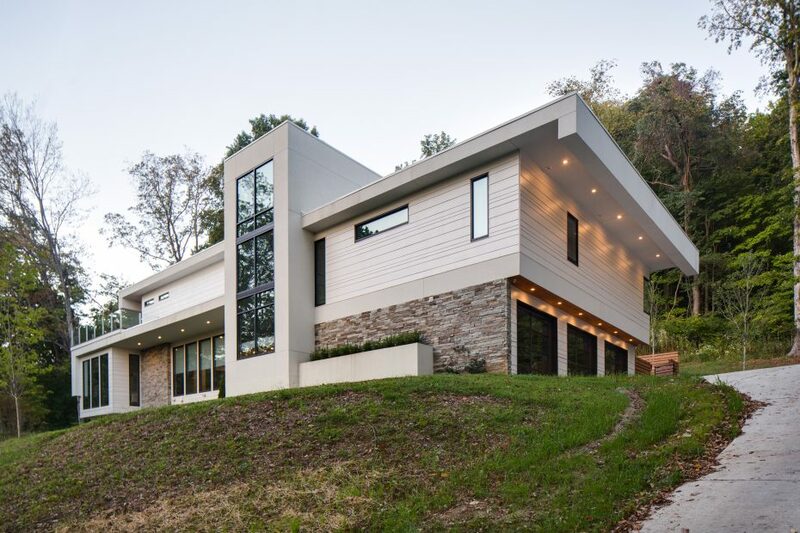 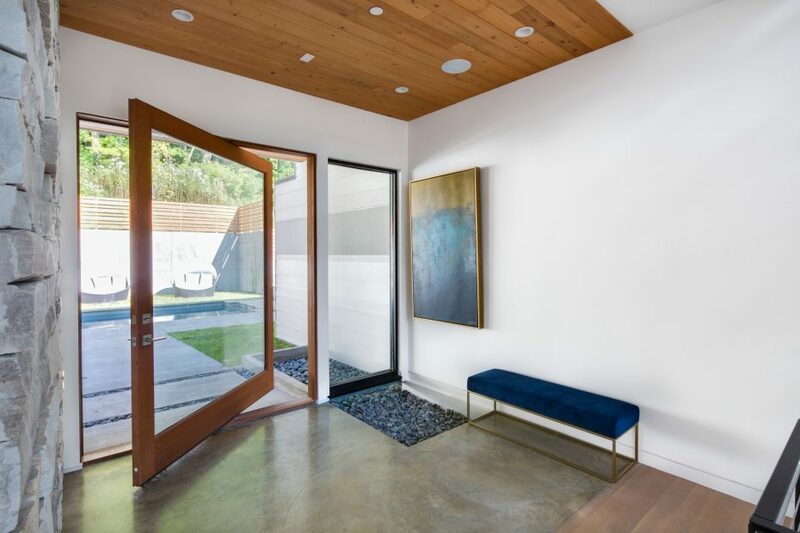 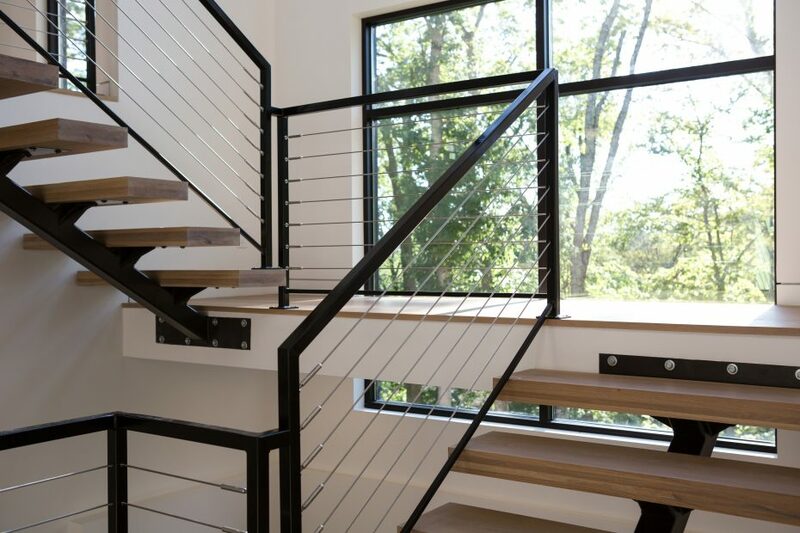 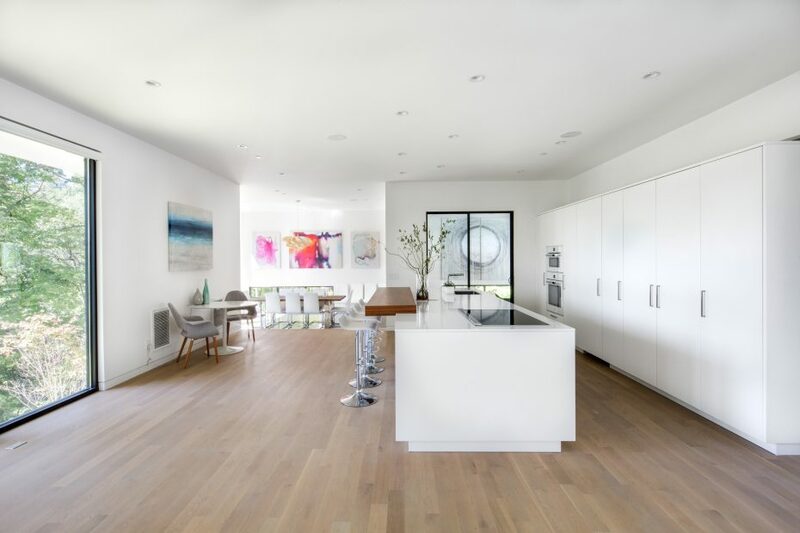 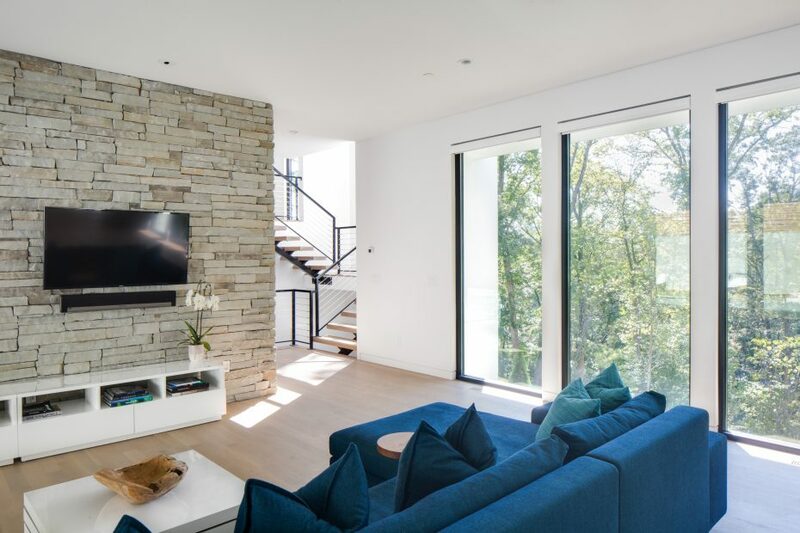 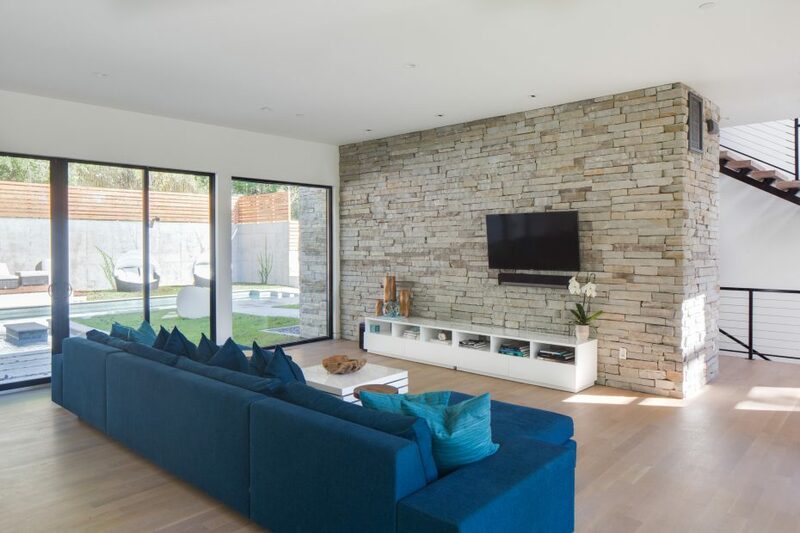 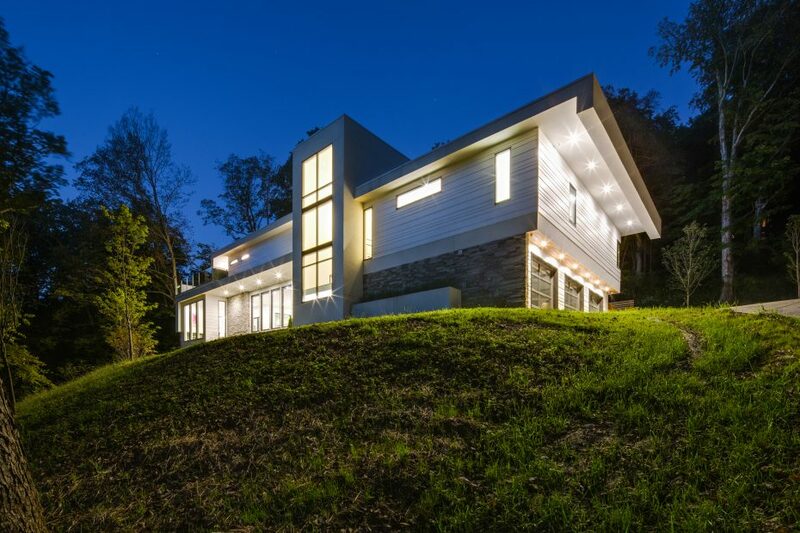 Located on a steep sloping hillside south of Nashville, this modern single family home utilizes a split level layout to help conform to the contour of the hill allowing a linear flow of open space inside. 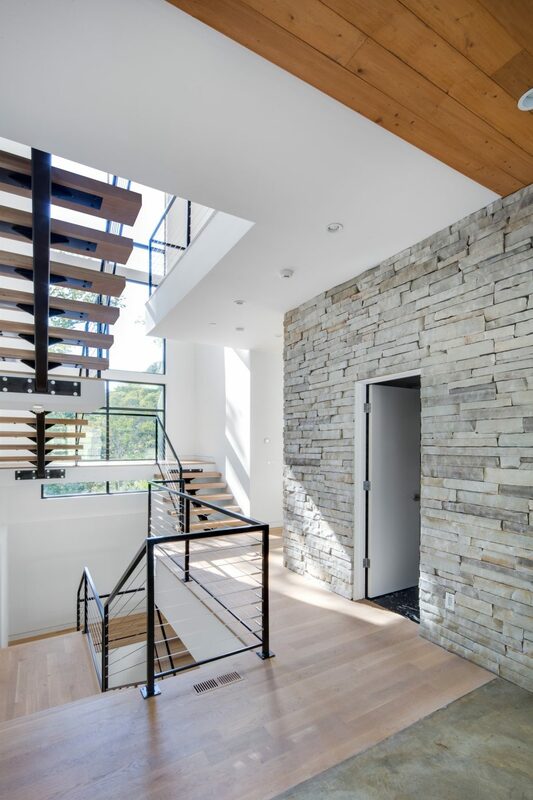 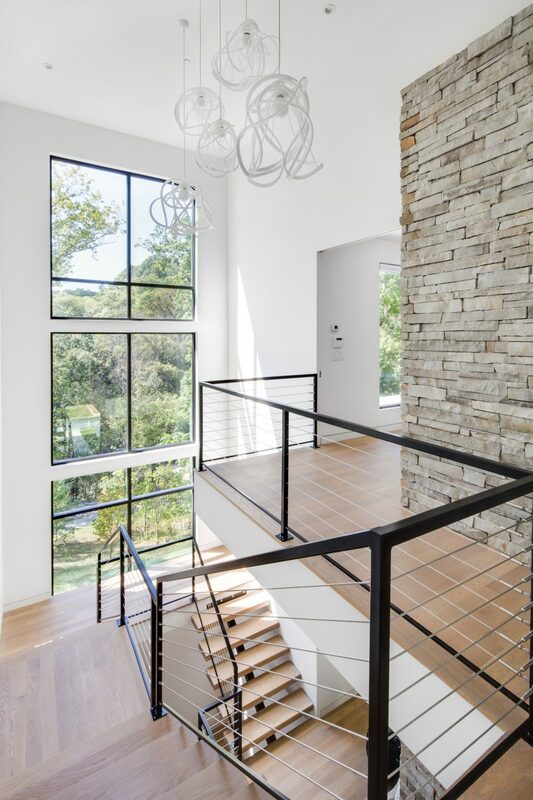 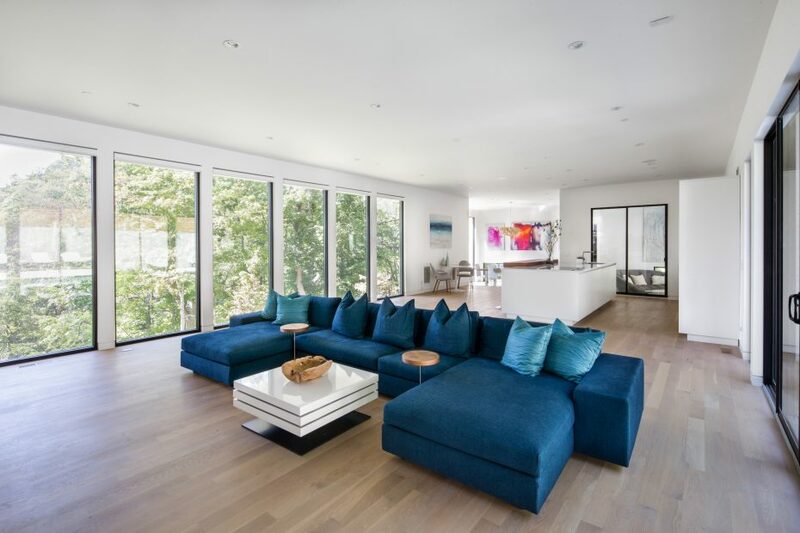 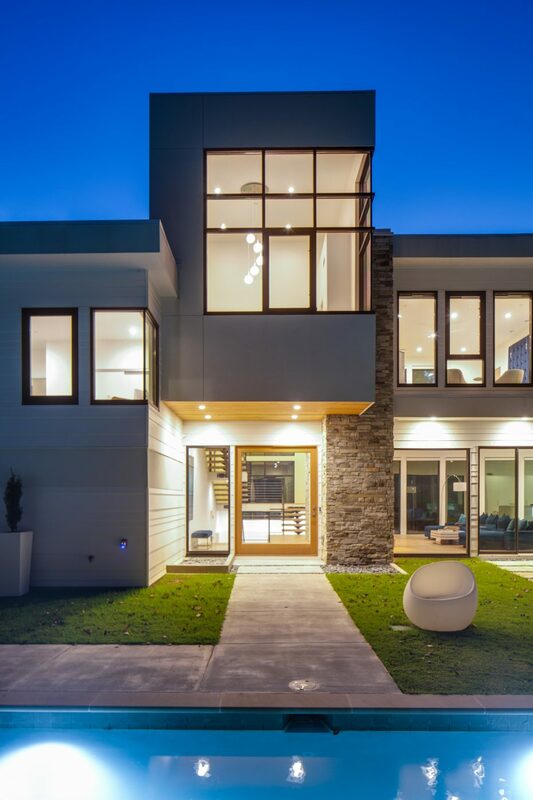 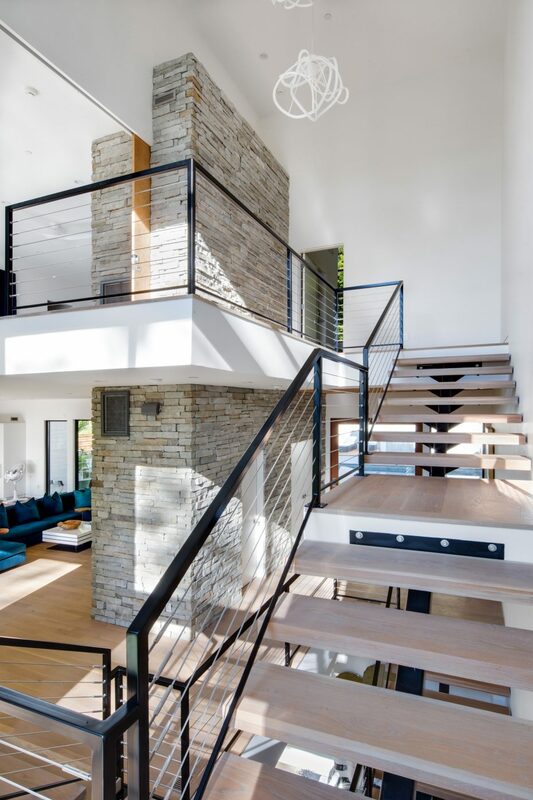 Connected by a central stairway featuring a custom made mono-stringer stair, the large amounts of glass let in tons of natural light as well as enhancing the sense of being up in the trees. 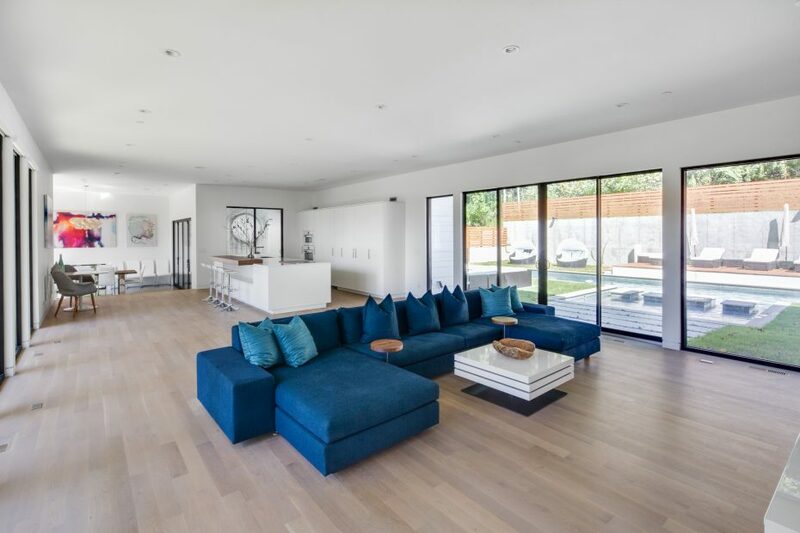 The amazing pool acts as a focal point for the back yard with terraced levels for entertaining.